Did you ever think that you can boost up your party in the most different way with just a unique way of serving a Watermelon juice? If you are thinking to do some quirky stuff for your next party, then try this DIY Watermelon dispenser. Summer is upon us and watermelons are out in the market. Psst: This is so simple that guys can make it for impressing your girlfriend or wife and kids. 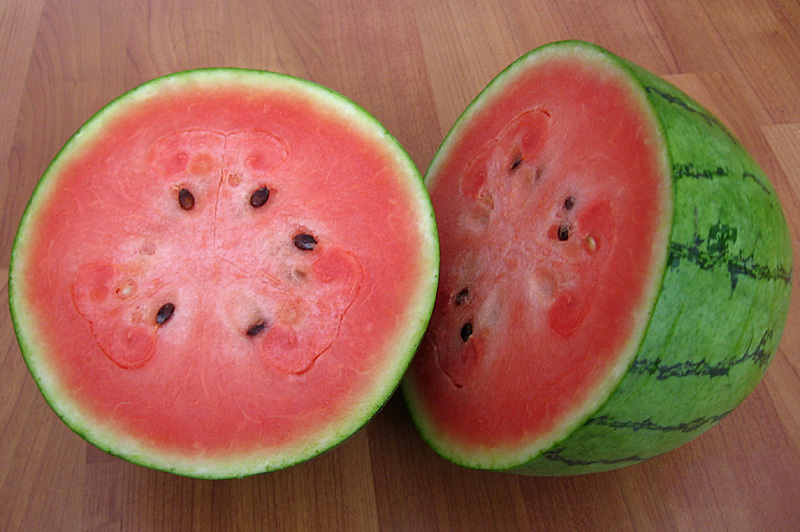 A watermelon (try to buy a bigger one which can stand on its own when you keep it straight). Don’t worry if you don’t get a watermelon which stands straight on it on a flat surface, and you can use a bowl for it. In that case, add a container to your list. Well with the above image you might have already guessed! Cut the top of the watermelon. Try to cut less of the red pulp from it. Do not throw away the cut piece, you will require it! Now start scooping the pulp with the spoon. Try to scoop only the red pulp the more you scoop the white layer; more your juice will become less sweet. Start putting your scooped pulp into the Juicer. Coming to a major step!! Cut a small circular hole where you will fix your spout. You can use a rounder (geometry compass) for this (which is both sides pointed) keep the spouts diameter in your mind. You will be a mess if you cut the circle more the diameter of the spout. With the spout, you might have got a rubber ring, place it on the outside of the watermelon. Push the spout in through the hole created by you. Next step is to fix the small steel bolt you have. This will go on the internal side of your scooped watermelon. Just turn it round as you fix a screw and a bolt. Now start grinding the watermelon juice. You can add some cranberry juice or lime juice or some strawberry juice to make a good cocktail. You can use the top of the watermelon which you had cut and kept aside as a lid of your new invention. Your surprise is ready! Let your loved ones self-serve themselves, and they will enjoy it! This commonly found fruit can make your party exquisite and add an element fun. If you have tried it, then share your views in the comments section below. Did You Know Chocolate Can Cause Death?